Dark colors and blush is a perfect glam color combo that will look young, refined and edgy, not only in print! Go wild and apply it on the overall wedding look! 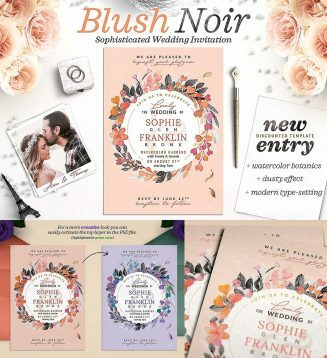 Such an illustrated design might be the best option for an elegant spring or summer wedding. 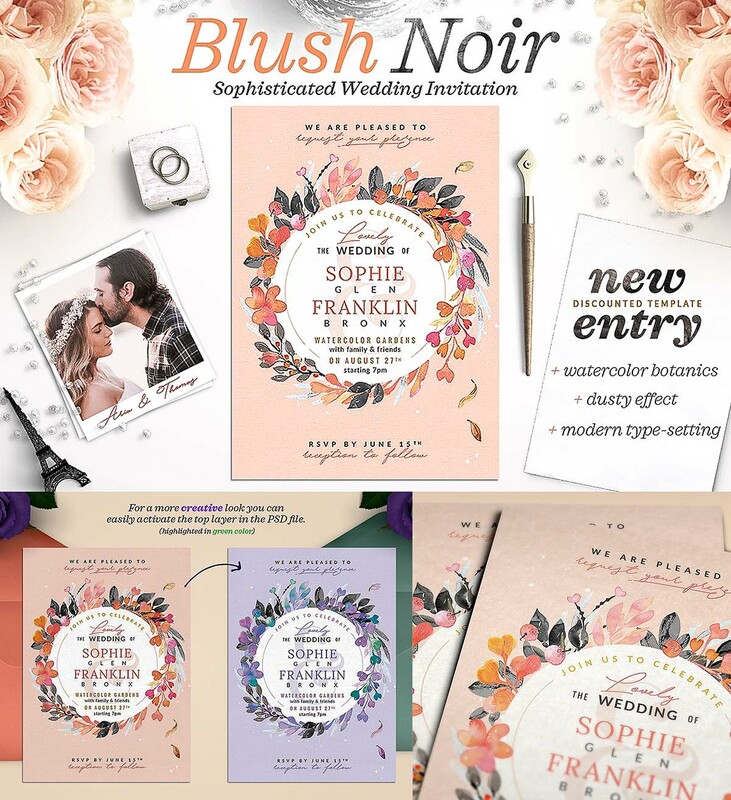 Blush, Peach and Black is suitable for formal, garden, sophisticated and even classic weddings. Tags: brush, floral, floral invitation, foliage, hot foil, invitation wedding, rsvp, thank you.